It is the middle of summer, the temperatures are rising and the sun is roaming the blue skies, what a perfect opportunity to go snowboarding! I never thought it would be possible in Europe and even within a doable range of a 1000 kilometers. I know this doesn’t sound much like the average summer plans when you read the first sentence of this article, but the snowboard addiction really manifests itself. The initial plan was to go snowboarding at the Hintertux in Austria with the standard crew; Marieke, Jorg and myself with 2 additional guys Dave Raybould (UK) and David Garcia-Mendia (ES). 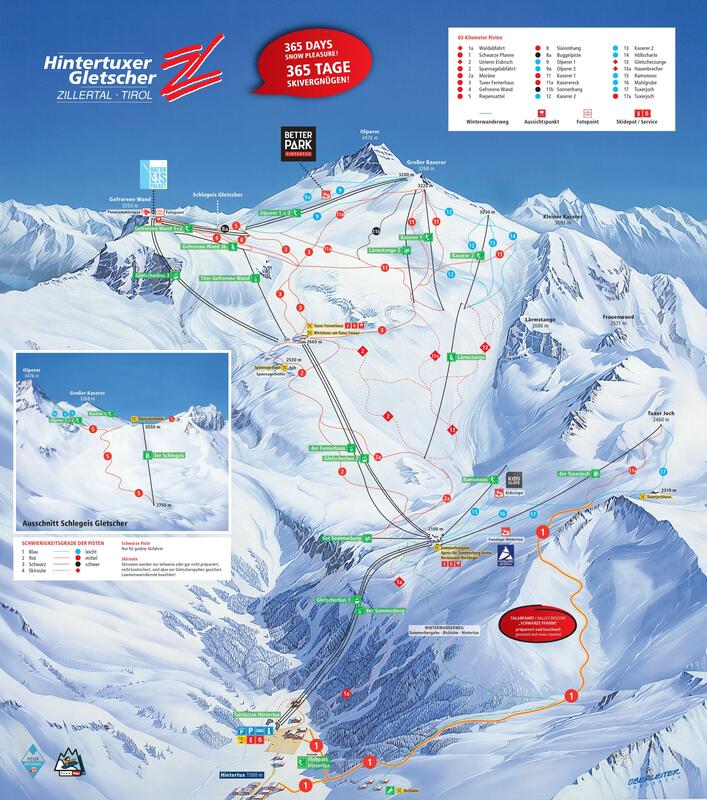 But as the conditions at Hintertux were declining we settled to go for Les Deux Alpes (FR). In the summertime the upper part of the mountain, which starts at 3200 meters and tops at 3600 meters, features a really nice snowpark. The park has a wide variety of features ranging from beginners level to advanced level. Thursday night we started our journey to drive all through the night and arrive in the morning at 7:30. First things we arranged were the room and the lift-pass and we changed into our snowboarding gear and got into the 30 minute lift ride to 3200 meters. A climb of about 1600 meters as Les Deux Alpes is situated at 1600 meters. Once there you take a T-bar lift to about 3600 meters and that’s where you get a real perspective of the altitude you’re at. What an amazing and breath taking view. We took the Friday to get warmed up and check out the park and it’s features, as Dave and David would arrive on Saturday. Unfortunately Marieke had bad luck and landed hard on her knees after a jump over a medium kicker, where the conditions on this Friday were still very icy. So she ended up having 2 very bruised knees and had trouble ignoring the soreness it produced. I think all of us 3 had some trouble with the icy slopes and just tried for the most basic stuff. We rode the park just to check out what was there and ride some of the easier features to start with. All in all a good first day for myself, but it could have been a lot better if it didn’t feel like an ice-skating-slope. The lifts closed down at 13:00 and so we went down with and ate something and took a few hours of rest and sleep after the long trip and boarding. As Les Deux Alpes has a lot to offer on the side (when you’re not on top of the mountain) we went out to the skatepark where we had a super session of skateboarding. Rode some half-pipe, miniramps and did our basic groundwork and old school tricks. Enough to get all energy drained for that day. The next morning we got up early and ran into Dave and David during breakfast, they’d arrived somewhere during the night. This was the first time we met in real life and it was nice to see these guys are nice dudes and are on the same page as us as it comes to a lot of things about snowboarding. We all got up the mountain and we had the best of weather and the snow conditions had improved. Although it was more slushy now, that didn’t really bother everybody in doing the tricks and features. As long as you took a higher drop-in point so you’d end up with more speed. Saturday and Sunday we hit about all features in the park and progression was all over the place for most of us. For David Mendia – who’s normally a back-country boarder – took his first laps through the park and made a very good effort. Marieke rode the half-pipe and the boxes, although she took it slow because of her knees hurting, she still managed too have lots of fun. Jorg progressed a lot by riding all the boxes 50-50, straight aired the 4 kickers in a row and also enjoyed the half-pipe very much. Dave Raybould had been hitting the 4 kickers in a row to get four back-flips a few front-flips and in the end even a back rodeo 540, with which he was very pleased! I myself had a lot of progression as well, as I am into the board-slides lately I tried it on most of the boxes. I’m very pleased to note that I could board-slide the pick-nick table, flat-box and even the rainbow box. Besides the board-slide I had a few attempts on the rails and how to stick on my snowboard. This still needs much work as I still jump over the damn thing. Besides the features in the park I also hit the 4 in a row kicker setup and eventually pushed out my first ever try at a method! So stoked about that. Like the others I had a lot of fun riding the half-pipe which seemed to come pretty natural to all of us. I tried riding it normal to switch to normal and so on, but also jumping a small 180 at each top to continue in the normal direction of travel. On the lower part of the pipe I tried some backside 180’s and a 360. Overall the feeling is there for half-pipe riding, now perfecting the technique and guts to jump out above the coping ;). After the Sunday-shred we got down the mountain and said our goodbye to Dave and David and we traveled back home in about 9 hours and 40 minutes. A perfect micro-holiday on a superb location and the best crew to spend it with! Thanks to all and hope to meet up soon for some more shredding! Learning: Skateboarding is not a crime!